When it comes to building materials, hardware, flooring choices, cabinetry, lighting etc. whereas, models in a development often have a few options for you. However, they select the options, and there typically isn’t room for any customization. Before meeting with a builder, it’s important to set a budget and stand firm with that budget dollar amount. When you build a custom home, you’ll be able to pick materials/options fits within your budget. If this process sounds overwhelming, your custom home builder would likely be happy to provide suggestions to help you narrow it down, giving you the best of both worlds. 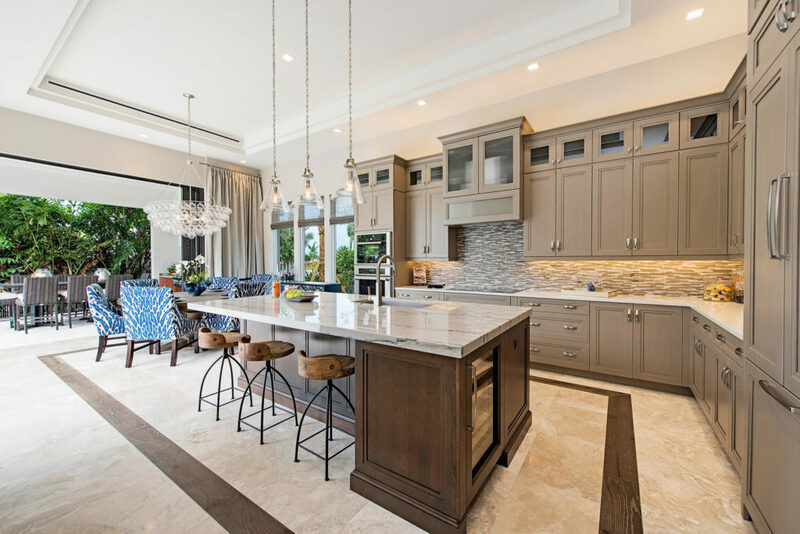 Speaking of options and customization, a custom home builder can install and provide you with luxury finishes that often aren’t available to homebuyers who are looking in a development. If you think that you will want high-end options, a custom home builder will be able to give you unlimited choice. Custom home builders survive the competition with their exemplary reputations. They often use the best quality construction materials, and best known products and latest techniques; versus builders in a development because they’re not restricted by a profit margin. If you want the best quality construction available, look no further than a custom home builder. Your budget will dictate the level of quality in relation to the materials you chose. Because planned communities are often laid out to have a neighborhood completed within a certain deadline, construction contractors maybe pressed for time; which can lead to cut corners and mistakes, which can in turn be caught by inspectors, which can then delay your project. When you work with a custom home builder, you’ll be able to establish a timeline that works on your schedule. Here at KTS Homes, our design and construction team take a white glove approach, to ensure our clients vision is brought to fruition; we offer a multi-level design and construction process with the client to ensure customer satisfaction. One of the benefits to building a custom home is that you’re involved and informed about the whole process. You will have the opportunity to make most, if not all, of the major decisions surrounding your new home. Unfortunately, your involvement won’t be as interactive if you choose to build in a development. The owner of KTS Homes is a firm believer in collaboration between the architect, client and designer to create a custom-built home that will truly represent the unique style and taste of a client. Here at KTS Homes we understand that a building a custom home is personal, and careful thought is put into what it takes to make your masterpiece come to life. When you build a custom home, it is uniquely and wholly yours. You’ll be able to take pride in the fact that although you weren’t swinging the hammer, you made all the choices when it came to your home. And when you receive compliments on your design choices, you will find it’s a gratifying experience to know that you helped create your masterpiece, called home. Custom wet shelf, pool, spa and luxury outdoor kitchen. When you choose to build with a custom home builder, you won’t be limited by the cookie-cutter architecture that communities are limited to. Even in upscale neighborhoods, you’ll likely see a lot of uniformity in design style and home features, calling themselves custom home builders, when in fact they’re production builders, perhaps semi-custom builders. If you’re looking for a home that reflects your personality and is unique to your style, building a custom home may be the perfect choice for you! Ultimately, a custom home builder will provide you with the most flexibility, the most options, and the best quality work. 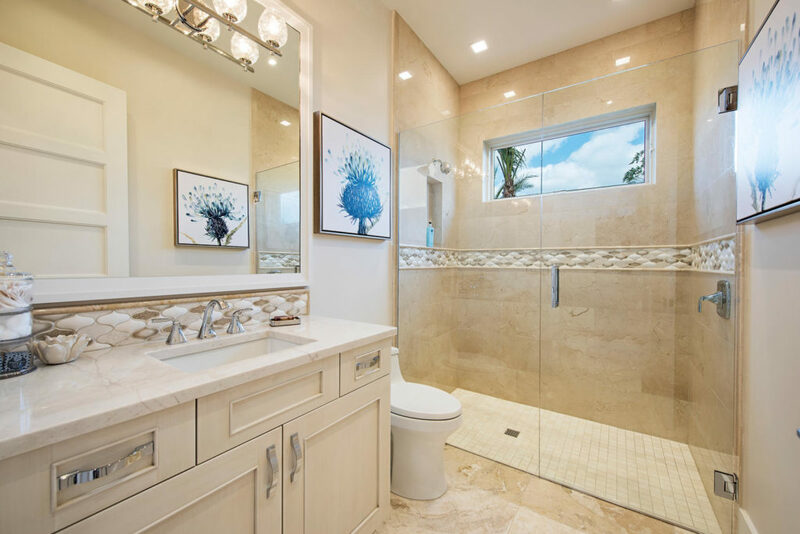 If you’re looking to build a custom luxury home in Southwest Florida, we can help. 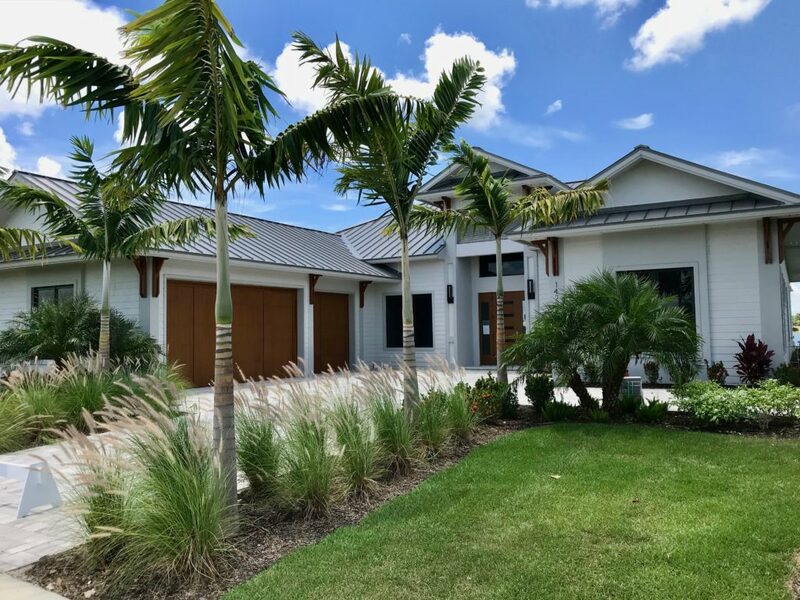 For a free consultation on building a home in one of our fine communities or on your lot, call us today at 239-465-0671 for more information.